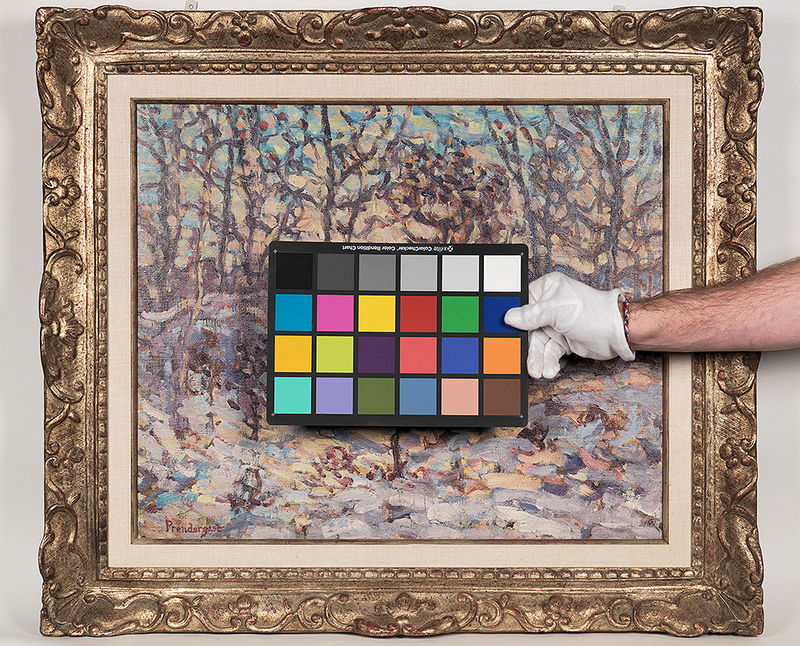 The Ancient Object project drew to a close in June of 2011 and, after a one-month break, we started digitizing the Prendergast collection at the Williams College Museum of Art (Williamstown, Massachusetts). The brothers Maurice Prendergast (1858–1924) and Charles Prendergast (1863–1948) were born in St. John’s, Newfoundland. The Prendergasts moved to Boston to be near their mother’s family after their father’s business closed in 1868. After completing the required eight years of public school, Maurice pursued a path in commercial art and Charles went to work at Doll and Richards art gallery in Boston. They both went to Paris in 1891 to study art, but only Maurice stayed to establish himself as a fine artist, returning to Boston in 1894. Charles began his career as a framemaker at this time. As painter and framemaker respectively, Maurice and Charles were active in avant-garde circles in Boston and New York in the late nineteenth and early twentieth centuries. For more information, visit the Prendergast Archive online.